Here are just a few of the eco-friendly roofing options that might fit your budget! Most of us can agree that it is better to choose eco-friendly building materials where possible. Not only does doing so help save money on energy costs and repairs, but it can also help reduce your carbon footprint and create a healthier planet. Yet eco-friendly building materials are often more expensive than traditional materials, especially when you are looking at a big project like a new roofing installation. Asphalt can easily be recycled and turned into new shingles. The material can also be designed to mimic the look of higher-priced materials such as slate and cedar shakes. By choosing recycled shingles, you can save a lot of money and reduce the demand for new materials. A cool roof is one made out of any roofing material that is colored white. The material may be colored white during the creation process, or it may be painted white later. The white surface reflects the rays of the sun, which lowers the temperature of the home and reduces the demand on the cooling system — a huge benefit in Arizona. Metal roofing is actually much more expensive than shingle roofing. However, it also lasts as much as 70 years and helps to lower your overall energy costs. You may spend more money on the roof up front, but you will spend much less when the costs are drawn out over the years and you factor in the energy savings. Metal roofing is eco-friendly because it is easily recyclable and it helps to lower energy demand. Wood is an easily recyclable material, which makes it eco-friendly. It also creates a warm and inviting look for the home. However, it must be carefully maintained to prevent rotting and pest infestation. Wood is an organic material, and it is vulnerable to the elements. Tile is such a durable material that it can often be reused when a home is re-roofed. By choosing reclaimed tile, you can save a lot of money and you can reduce the demand for new materials. Clay tile is also very long-lasting, which reduces the demand for new materials even more. 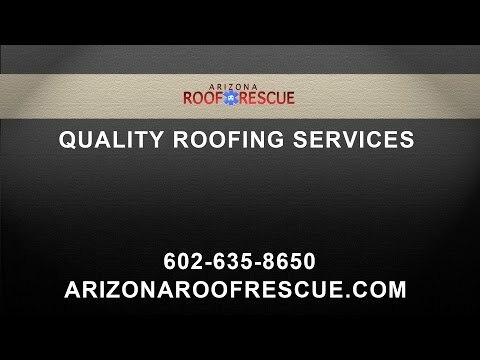 If you aren’t sure which of these eco-friendly roofing materials is right for your home or business, Arizona Roof Rescue can help. We are an Avondale roofing company that specializes in new roofing installation, and we can help you understand the benefits of these and other roofing materials for your property, as well as to give you a complete understanding of all the costs (and savings) associated with each. We also provide roof maintenance and repair for all types of roofing materials to ensure that your roof lasts as long as possible. Call us today to learn more.